Sometimes you just can't decide what color you want to paint your nails. You could paint different fingers with different colors but then you still have to go back and remove the polish. When I can't decide what color I want to use I pull out my scotch tape. 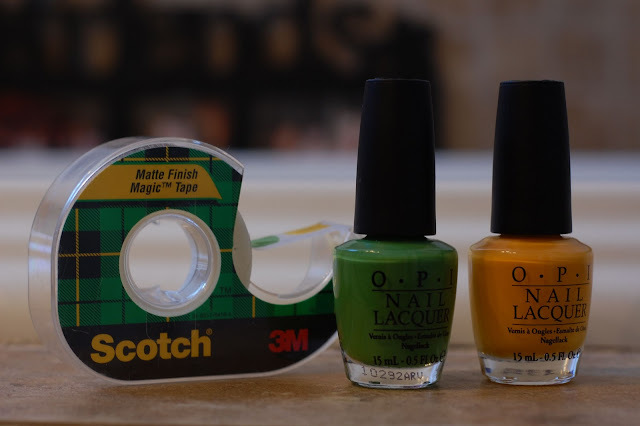 Scotch tape clear or regular will easily represent your nail color true to its color out of the bottle. Simply paint a couple strokes and let dry. Then hold up the color to your nail and decide which you will want to wear. Once you decide, just simply break off the tape and toss! I love using this trick when I'm trying to decide on what colors to contrast with each other when I want to re create the ring finger manicure.